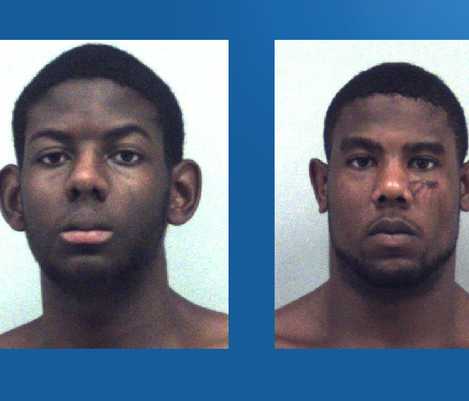 GWINNETT COUNTY, Ga. – Gwinnett County’s district attorney plans to ask a judge not to issue bond to two brothers accused in the brutal attack of their parents. LAWRENCEVILLE, Ga. – A Lawrenceville dental office is offering free dental services on Saturday. The Center of Cosmetic & Sedation Dentistry will provide free fillings, extractions and cleanings between 7 a.m. and 4 p.m. on September 12. The office is located at 1030 Duluth Highway. One procedure will be performed per person, the office says. Services will be provided on a first-come, first-served basis. Patients must be at least 14 years old and accompanied by an adult if under the age of 18. There are no appointments or registration prior to the event. At 6 a.m. on Saturday morning, numbers will be handed out to the first 225 people in line. LAWRENCEVILLE, Ga. -- A 10-week-old baby at the center of a child cruelty case in Gwinnett County has died. Authorities arrested the child’s father, Kelvin Odom, after the baby was taken to the hospital on the morning of September 2. Police say the child had been left alone with Odom while his mother was at work. They say when the mother returned home, she found the baby discolored and having trouble breathing. He was rushed to a hospital, where police learned the baby had a fractured skull. The child died Sunday afternoon. Odom has been charged with first-degree cruelty to children. Detectives are waiting to learn the cause of the child's death. Authorities say Odom could face additional charges depending on that ruling. Gwinnett parents drugged, then viciously attacked - but why? GWINNETT COUNTY, Ga. -- Authorities have released the 911 call in which a mother told a dispatcher that her children were trying to kill her and her husband. In the 8-minute call, Yvonne Ervin is heard telling the dispatcher that she had locked herself in a bedroom while her husband, Zach, distracted their two sons. Ervin tells the dispatcher that her two sons, aged 17 and 22, attacked her and her husband while they slept. SNELLVILLE, Ga. -- A Gwinnett County mother has been released from the hospital after police say she and her husband were brutally beaten by their own sons. According to Gwinnett Police, Yvonne Ervin called 911 Saturday to report that her two sons, Christopher and Cameron Ervin, had attacked her and her husband, trying to kill them. Monday afternoon, a hospital spokesperson told 11Alive's Blayne Alexander that the boys' father, Zachary Ervin, is still hospitalized in fair condition. Yvonne Ervin had already been discharged. GWINNETT COUNTY, Ga. -- Two brothers remain in Gwinnett County Jail after allegedly trying to kill their parents. In the call, the mother, Yvonne Ervin, told dispatchers that her sons were trying to kill her, and that her husband, Zach, was distracting them so that she could call for help.